In 2017 we celebrate the 450th anniversary of Claudio Monteverdi's birth. No name is as closely associated with the far-reaching stylistic change in the years around 1600 than his. 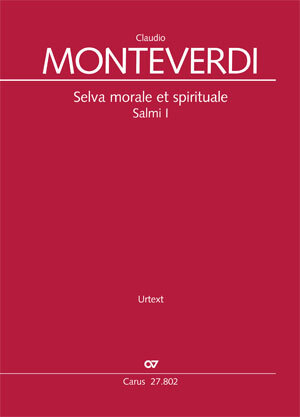 Discover Monteverdi's wide-ranging output in our publishing program, including our recently-published sacred music collection, the Selva morale et spirituale of 1641. P.S. : Come and discover Carus at the AGO Houston 2016! Carus is awaiting you at the music exhibition, Booth #318 to show you our new publications for organ, as well as beautiful recordings and our special app for choir singers. 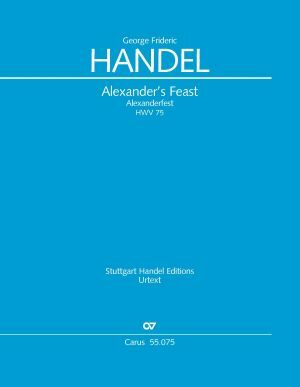 For the first time the present new edition is based consistently on Handel's conducting score, which he used for his own performances of the oratorio. Handel's Messiah is the focus of Helmuth Rilling's book in which he reveals his working methods in approaching this magnificent masterpiece. >> Have a look inside! 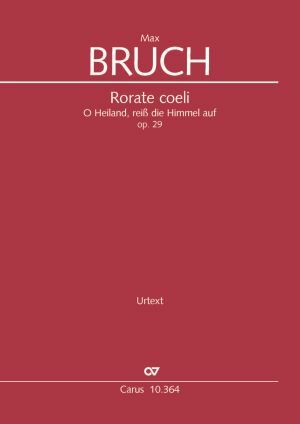 With his setting of Rorate coeli, Max Bruch created an impressive setting of the well-known Advent text "O Heiland, reiß die Himmel auf" (Drop down ye heavens from above). The work would be very suitable for inclusion in, for example, a Christmas concert with Rheinberger's Stern von Bethlehem. Our new publications also include Bouzignac's Four Christmas motets, where the soprano sings in dialog with the other parts. Discover our new Christmas catalog! Today Monteverdi's Selva morale et spirituale (1641) stands entirely in the shadow of his famous Vespers 1610. From the repertoire contained in the Selva several different programs can be devised; you can find suggestions for concerts in our current Monteverdi catalog. Newly published are Salmi I and Motetti, Hinni, Salve Regina. Salmi II will be released in autumn 2016. All works will also be available as separate editions in autumn 2016! 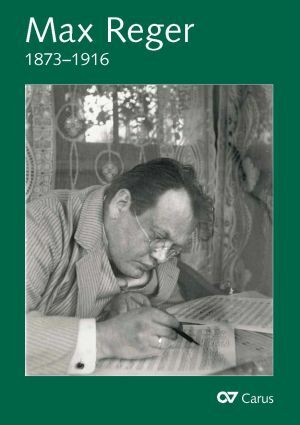 11 May 2016 is the 100th anniversary of Max Reger's death. On our website you can find an overview of all the Reger editions in our catalog, with various search filters, e.g. by scoring and duration. This information is also available in our Reger catalog. 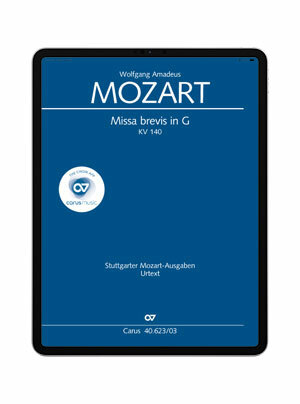 Two Mozart masses have recently been released in carus music, the choir app: the Missa brevis in G major KV 140 and Missa brevis in B flat major KV 275. Practising these works with carus music helps to give the works their cheerful, lively prevailing mood and lightness. A jewel of the unaccompanied choral repertoire for Christina Rothkamm is the Trois Chansons by Maurice Ravel. Ravel, who wrote both text and music, tells three stories with lightness and humor, musically in the style of Renaissance compositions, with content drawing on fairy-tale motifs.